Surrounded by verdant surroundings in a quiet location, Traços de Outrora Casa do Custodio is located in Vale de Cambra. This holiday home includes a private bathroom with a shower, free toiletries and a hairdryer. The kitchenette is equipped with all necessary appliances for guests to prepare their own meals. Hotel Rural Quinta de Novais price per day from € 125 This 18th century farmhouse offers an outdoor pool and a lush garden filled with chestnut and oak trees. The air-conditioned rooms open onto a balcony with panoramic views of the Freita Ridge Mountains. Hotel Solar das Laranjeiras Enjoying a peaceful location in the Vale De Cambra, Solar das Laranjeiras offers simply furnished, air-conditioned rooms. It features a refreshing outdoor swimming pool, surrounded by deck chairs and umbrellas. Each room comes with a TV and private bathroom featuring a bathtub or shower. 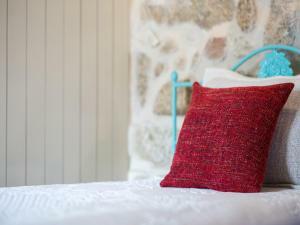 Quinta Do Pomarinho price per day from € 55 This renovated 19th century home is surrounded by a lush green garden and features an outdoor swimming pool. Quinta do Pomarinho is located in Arouca and includes a tennis court as well as a miniature golf course. Free WiFi is available in the comfortable communal lounge, which includes sofas and a TV..
Casa do Porto Carreiro price per day from € 100 Casa do Porto Carreiro is located 9 km from Oliveira de Azeméis and offers the peace and tranquillity of northern Portugal. This 2-floor house includes 2 double bedrooms and a double sofa bed in the living room which is equipped with a TV and a DVD player. Traços de Outrora Casa da Matilde Traços de Outrora Casa da Matilde is a small rustic house located in Vale de Cambra between the villages of Fuste and Porto Novo. Featuring exposed stone walls throughout the house, it includes a living room and a kitchenette on the ground floor and a double bedroom on the top floor. Traços de Outrora Casa Paco de Mato price per day from € 110 Traços de Outrora Casa Paco de Mato is located in Vale de Cambra. 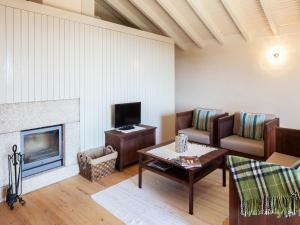 The charming and rustic unit has been renovated with modern furnishings and has exposed stone walls. 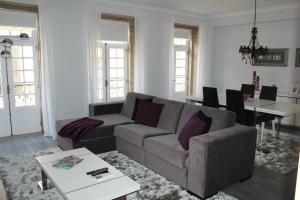 The living room has sofas, a fireplace and a flat-screen TV. Traços de Outrora Casa da Rosalina price per day from € 200 Traços de Outrora Casa da Rosalina is set against the green natural backdrop of tranquil Vale de Cambra. 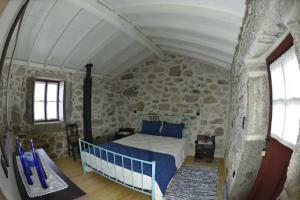 The dining room opens to the kitchen and all have exposed stone walls and traditional wooden ceilings. 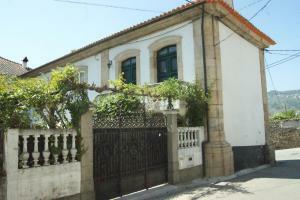 Guests are welcome to leisurely tour the green and tranquil surroundings..
Town of Macieira De Cambra (~2 km). 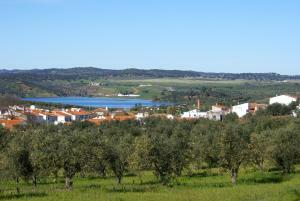 Town of Oliveira De Azemeis (~6.9 km). 5+ villas/holiday houses ! Town of Palmaz (~8.3 km). 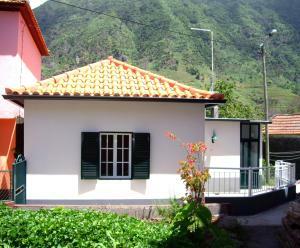 Town of Sao Joao Da Madeira (~10.6 km). 2+ villas/holiday houses ! Town of Sever Do Vouga (~13 km). 2+ apartments, 4+ villas !